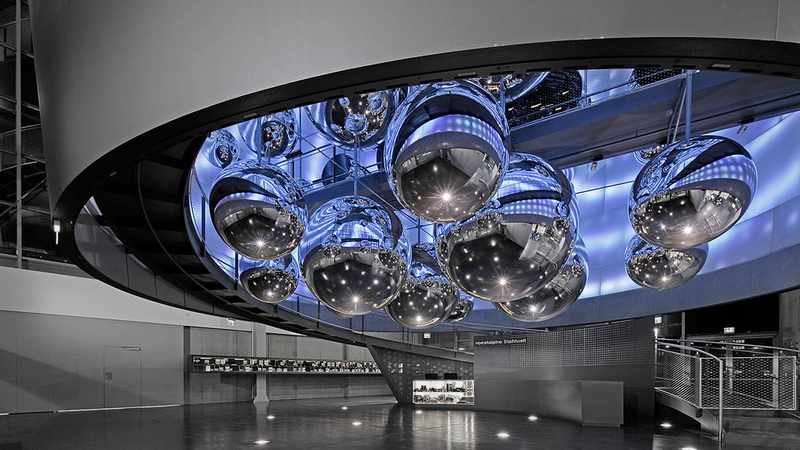 Inspired by the molecular build-up of the material steel the idea arose to open the crucible of the new visitor- and exhibition centre of the voestalpine AG and to treat the resulting space as a unity. 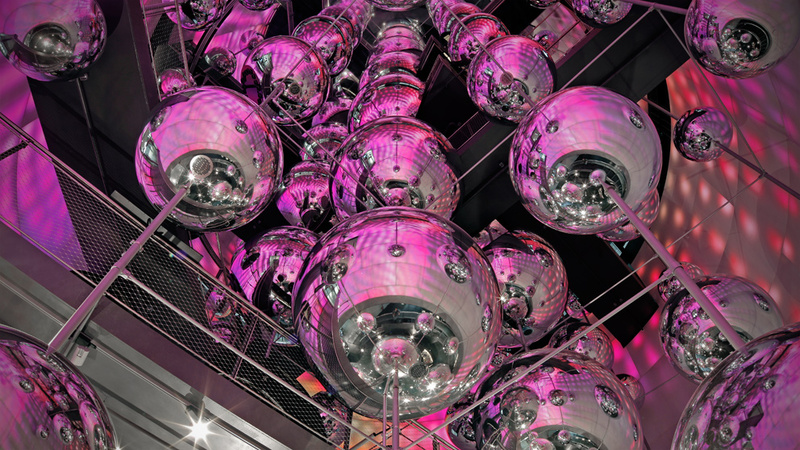 Congruously to the crystal structure of metal, the space was equipped with a graticule of metal orbs that are to symbolize the smallest, atomic module of the material. 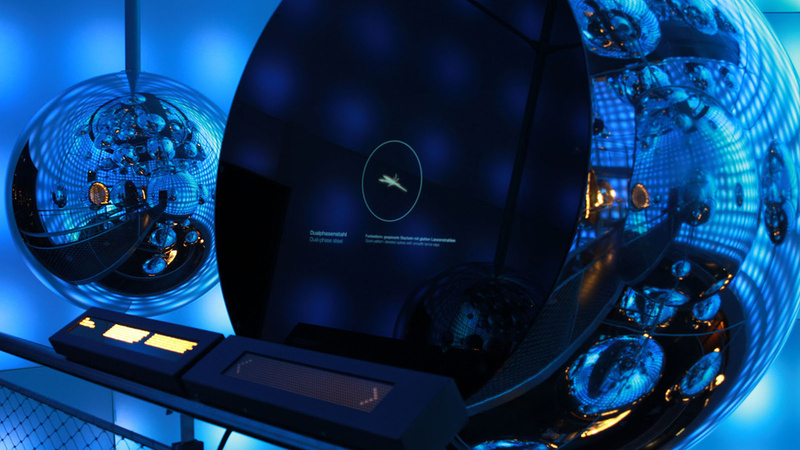 To function as integral information- or experience facilitator some orbs were made accessible or equipped with exhibits, others were used as projection surfaces. This resulting walkable installation enables the visitor to unconsciously feel as if he could literally dive into the exhibition’s core – the material steel. By mirroring the orb’s surface the balls multiply themselves as a symbol for the almost infinite fields of application of the material. 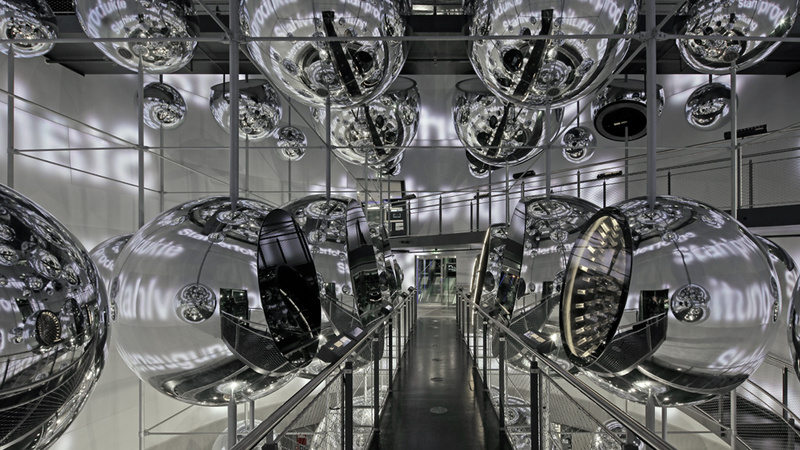 Also, due to the mirroring casing the visitor becomes an integral part of the exhibition. 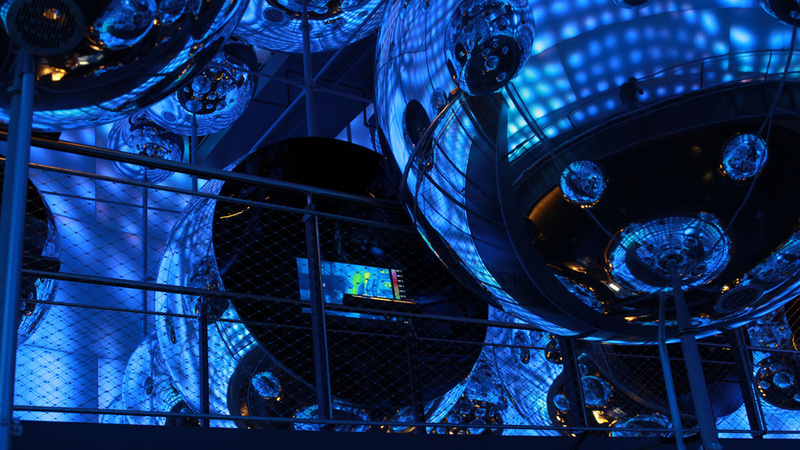 A light and media installation inside the crucible creates a constantly moving stage for steel.